KYJO talks to Kevin Alexander about the issues that men who are "short" encounter while dating, and how personal style can help increase confidence so you can be the awesome guy you are - regardless of your height: Nice Guy Dating Episode 212. KYJO joins Justin of Elite Man Magazine Podcast for this 38 min discussion about taking yourself seriously, deciding how to show up and why trimming the bush ... well, it's a must. KYJO talks to Kevin Alexander in Part 1 and Part 2 of this amazing dating podcast for men! We discuss the rules around cargo shorts, backpacks and ball caps and how easy it is to get through door #1, get approached by women and swing the dating game in your favour! Episode 5: What Your Clothes are Communicating About You Find out how clothes impact perception and how something as simple as wearing running shoes can ruin your chances on a date! 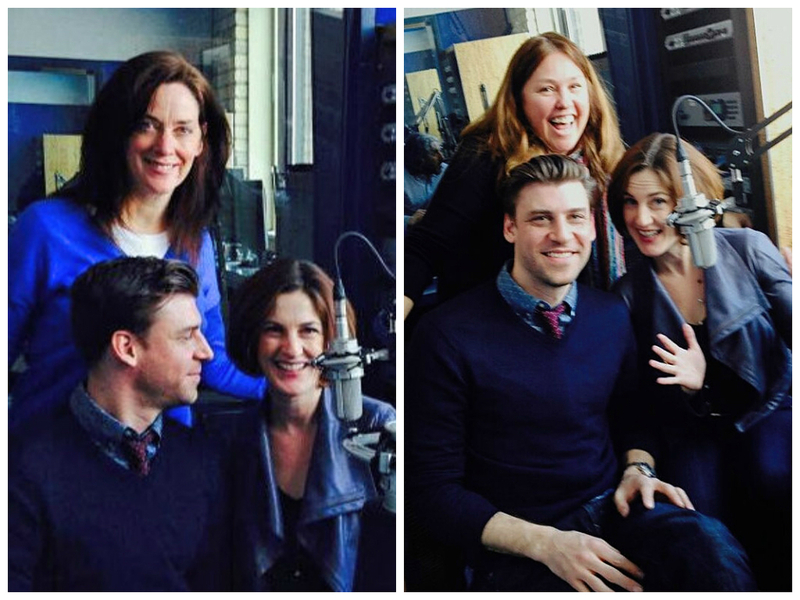 Kylie & Jonathan had a great time chatting with the I'm Just Sayin' Gals about style, fashion therapy and relevance. 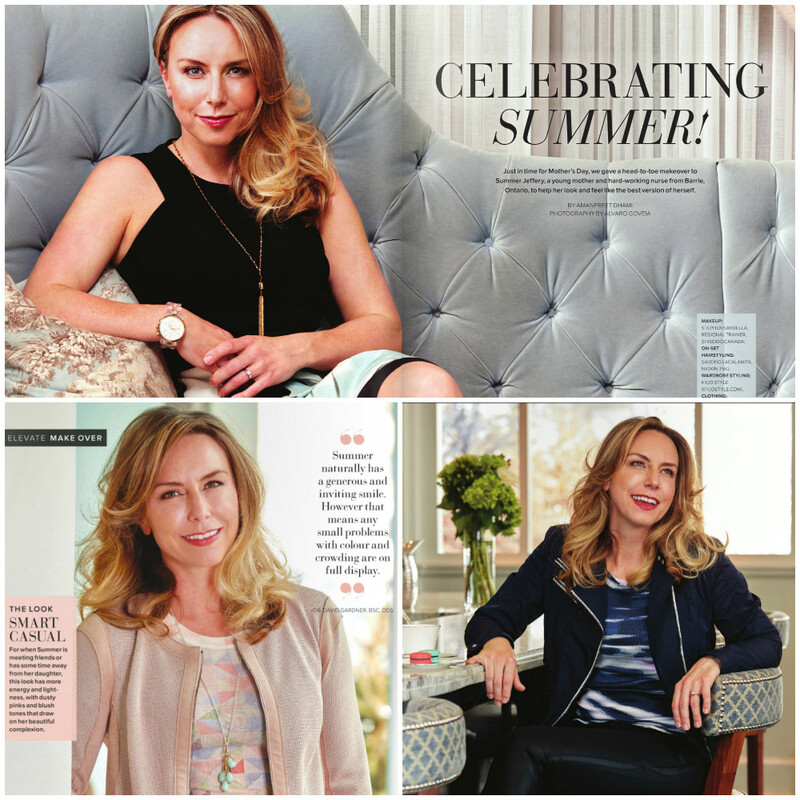 A makeover story on page 39 in Elevate Canada, "Celebrating Summer" for healthcare worker and mom, Summer Jeffery. Hair: Saverio, Makeup: Stephen Sardella, Clothing: Fredas and Ron White Shoes, Photography: Alvaro Goveia, Location: Colette Toronto. A national campaign for Pantene published across Canada for ELLE Canada and ELLE Quebec. Kylie & Jonathan joined Lindsay Johnson from The Networking Boutique and Cynthia Barlow from C3 Conversations at Le Germain Hotel for an important evening of networking and learning. The discussion focused on connecting with your authentic self, expressing your authentic self through conscious style, bringing awareness to your body language and networking authentically both professionaly and socially. Kylie & Jonathan appeared on a panel discussion with Q&A on the topic of Image and it's impact on business. They also styled six Female Entrepreneurs for a runway show, informing the audience as to why each look was chosen based on individual personalities, lifestyle and professional goals. During the Sears closure at TEC, several women were hired to provide information and direct traffic to patrons during the transition. Kylie & Jonathan styled women in fun, professional and eye catching outfits. Kylie & Jonathan had the privilege of being part of the grand prize for Shops @ Don Mills Seasonal Style Contest, accompanying the grand prize winner on an exciting afternoon shopping spree!